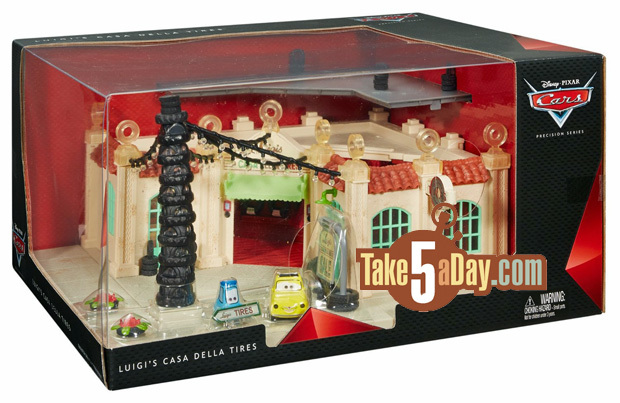 We have our first price drop for the Precision Series Luigi’s Casa Della Tires at Amazon – @$86. This new Luigi’s is massive compared to the original Luigi’s – this one is about 13″ by 11″ across and the lights on feature is VERY COOL. The tire rings light up WHITE & RED and there’s lights inside the tire stack also. It naturally drops just after I’d ordered and received mine, figuring it would never go on sale.